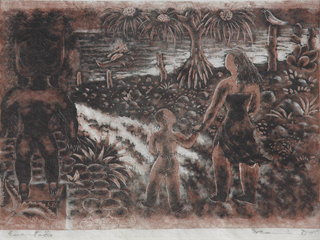 Description: Honolulu Printmakers Gift Print to Associate Members in 1954. Original Print cleaned/restored in 2010. Overall Dimensions: 5 1/8 x 7 5/16"